Rehab Guru Enterprise | Tailored Exercise Prescription Software for Clinics, Hospitals and Large Institutions. 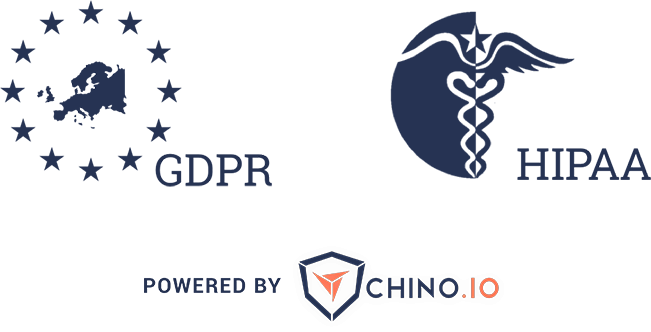 Our secure, global platform for clinics, hospitals and organisations of all sizes. Rehab Guru allows us to prescribe specific exercise programmes to a course of 15 patients quickly and easily. Additionally, it has seen noticeable increases in patient adherence and outcomes. Whatever your field of healthcare and wellness, your physios and exercise practitioners can quickly generate clear, easy to follow exercise plans that are tailored to their patients’ precise, individual needs. Create the professional inputs that drive better outcomes. Effective communications and professional programs support the Chartered Society of Physiotherapy’s Code of Members' Professional Values and Behaviour. They promote better patient engagement, greater follow-through, increased motivation and, ultimately, higher client satisfaction. Quickly prescribe new exercise plans with easy to use templates and reassignment of previously created ones. Keep constant client engagement and never lose track of your client's history. Plus, all of this available on the go, on your mobile and/or tablet. We ensure the confidentiality of patient records and organisational data with enterprise-grade security. All our data communications are fully encrypted and we always keep any sensitive medical data at arm’s length. No medical records are held on our servers. Rehab Guru is leading the way for exercise prescription softwares to integrate plans and outcomes with other patient notes and electronic medical records (EMRs). Rehab Guru operates across devices and platforms. Our app is available on desktop PC or on iOS and Android smartphones and tablets. Enjoy the advantages that cloud technology brings to the work environment, including real-time sharing of information across locations and devices. Move seamlessly from entering personal details on a consulting room desktop to using that information on the gym floor through an iPad or smartphone. Unique server requirements? Bespoke systems integration? Custom content? Unique design options? Rehab Guru can meet your needs. Designed by our unique team of rehabilitation experts, professional physiotherapists and software developers, Rehab Guru was developed to meet the needs of healthcare professionals working in rehab and other exercise-based disciplines. We ensure the confidentiality of patient records and organisational data with enterprise-grade security and certified providers. All our data communications are fully encrypted, and we always keep any sensitive medical data encrypted at single record level. Rehab Guru is leading the way for users’ privacy, and compliance to GDPR and HIPAA regulations. We offer the end-to-end, enterprise-level support you would expect. From initial consultancy and needs analysis, through solution design and deployment, to training and support. These are all tailored to your needs and written into a service-level agreement that matches your clinical needs. We will guarantee a service level that ensures your operations remain online and fully functioning, anywhere in the world, anytime of day. Contact us today for a free trial, or to discuss your unique needs more fully.